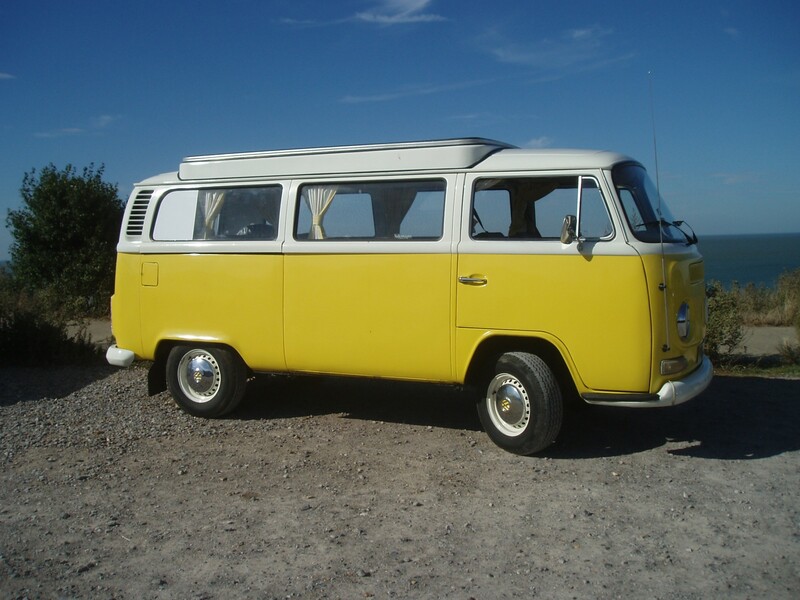 This is another example of a vehicle which helped to change the way in which people lived in the sixties and seventies. It enabled ordinary families to holiday around the country or abroad on a tight budget without the inconvenience associated with the ownership and use of a caravan. Although expensive to purchase they could be used year after year in addition to occasional weekends away. They are practical enough to use as daily transport. As with all vehicles they are not perfect. Poor passenger heating and ponderous performance are two which spring quickly to mind. This vehicle has been restored to a high standard but retaining the Devon interior with its antiquated bed system. This requires the bed to be created from the two table tops and not, as in the later variants, and more practical “rock and roll” beds. Although technically capable of enabling 4 people to camp over a long period of time I feel that it is best suited to long weekends away with the kids. The camper comes with a baby stove, electric cold box operated through the mains hook up, and the necessary mugs, cutlery and plates to enable basic camping. There is heating in the van to keep it warm in the evenings. Again, we recommend that the van is hooked up to the mains to ensure the leisure battery is kept charged. We are happy to supply a two burner hob but recommend that this is used in conjunction with an awning which we can also supply. We will happily sort out campsites for you if you need some help.